News, Insights, and information for weigh & scale compliance industries. Subscribe and stay updated! Weigh Pay Solutions isn't just our name, its what we do. When it comes to connecting your scale indicators to an enterprise ready software suite for collecting weights with integrated payments and billing, we offer one of the only turn-key bundled hardware and software solutions in the world for any size company in any nation. WeighPay can be used to capture weights and print 'weight tickets' for any industry like the Garden Center Point of Sale, Welding Supply Point of Sale, Metal Supply Point of Sale, Landscape Supply Point of Sale, Lumber Yard Point of Sale, Agricultural Supply Point of Sale, Commercial Feed Point of Sale, Butcher Shop Point of Sale, Waste Management Point of Sale, Landfills & Transfer Station Point of Sale, Fishing Supply Point of Sale, Soil Building Supply Point of Sale, Farming Supply Point of Sale, Industrial Building Supply Point of Sale, Hydroponic Supply Point of Sale, Scrap Metal Yards, Auto Salvage, Waste Management Landfill, Seafood Fisheries, Aggregate Recycling and the Oil & Gas Waste Industry. Anywhere you have a scale indicator, you should have WeighPay collecting the data and pushing this in real time into your accounting or ERP management programs. After all, we are in year 2017 for goodness sake. We offer the latest technology when it comes to connecting your scale indicators to your mobile devices or PC's. We offer Bluetooth, Network or the old standard RS232 Serial connection. When it comes to security and internal and external compliance and auditing rules, we have fully integrated and automated the cameras above your scales so that when weights are captured images are automatically taken. Anywhere, Anytime is one of our motto's, using USB cameras, mobile device cameras and or network IP cameras allows the scale operator to get the weight and image almost anywhere. Compliance rules are built into the software to automatically capture images for incoming and outgoing weights/loads. Additional imaging options allow the user to capturing the drivers license image, drivers image, vehicle image, plate image, trailer image, signature image are all part of our enterprise ready integrated and automated scale platform. On-boarding new clients at your scale only takes seconds and requires no data entry. Using ID image scanners, driver data and images are automatically added to existing customer files. Users can quickly retrieve existing customers and add them to a transaction regardless if they are a vendor, generator, operator, customer or the hauler all within a few seconds. To further enhance the ease-of-use, thanks to the largest buttons in the business, using your mobile device allows the user to capture scale images with the on-board cameras and use the touch screen for capturing customer signature. Also your IT department will like the redundancy of the on-board internet back up in case the main network goes down. This allows industrial companies to use affordable dust proof mobile hardware that usually costs less than $300 at your local Costco, Walmart or Verizon Store as the complete scale solution. The triple crown, besides connecting to any digital scale indicator (1), capturing scale images (2), the back office is a cloud hosted (3), meaning you can see your scale transactions in real time from any internet connective device or PC in our industry leading inventory web application. The closer, even though our online back office has integrated accounts payable's and accounts receivables, allowing your company to combine tickets/loads/transactions together for AR billing or AP payment purposes. This sure makes your accounting department happy. After payments are made or received in our back office your scale transaction data is pushed in real time your accounting package like Quick Books or NetSuite, with no data entry and no mistakes. Real-time accounting for scale based industries allows your CFO/CPA/Bookkeeper to balance the books daily. 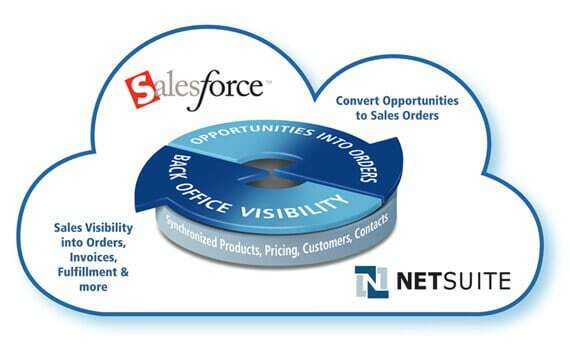 For larger organizations that want enterprise sales features and accounting features that speak to their scale software, we are proud to announce our integration with Salesforce and NetSuite. With integrated payment solutions for credit cards and built in SMS text message marketing campaigns makes this a must have for growing companies wanting to upgrade their scale software system. This completes the Enterprise Experience for larger multi-site, multi-national companies that want / need a cloud experience. Other terms used when describing our software solutions: would be truck scale software, floor scale software, weigh scale software, truck scale management software, floor scale data management software, truck weighing software, weigh-bridge software, floor weighing scale software, floor scale data management, computerized scale ticketing systems, bar code scale programs, point-of-sale scale software, pos scale software and point of purchase scale software, just to name a few. I am sure you have already experienced "worst-made", right? For the last 5 years WeighPay has been selling "bespoke" and "Best Made" software products and services, but in an effort to meet the the tight budgetary needs of smaller mom & pop business we sold less than desirable consumer grade hardware. Those days are behind us. What does the term "best made" mean? Best Made and Bespoke are inter-changeable terms, meaning "custom made products built to the highest standards known to mankind with durability and longevity as core guiding principals"
Many of our competitors have come and gone throughout the years, but the ones that have survived have not improved as technology would call for. They remain committed to the same "old school" products with little to no improvements over the years. Imagine if your cell phone was the old 1985 brick phone still, thats what its like using my competitors products. Heavy and expensive with a ton of required maintenance just to keep using the product. They claim "why fix was isn't broken"
OUR COMPETITORS = OUTDATED, OLD SCHOOL AND RELICS OF THE PAST. Personally I have sold thousands of computers and compliance related accessories like ID scanners, fingerprint scanners, signature pads and cameras. Having sold ATM units all over the world as well, I have seen the garbage hardware that China is throwing our way. In an effort to save a dime, we have all pushed inferior products over the years, myself included. 2016 is proving to be a game changing year for the industry, as the industry struggles with commodity prices WeighPay Solutions is going the other way, committing to only sell BEST MADE software and hardware products. When the quality goes up so must the price, the old adage, you get what you pay for is still true and will remain true. Lets define this term "BEST MADE"
Best Made is an actual company. Best Made Company® is dedicated to equipping customers with quality tools and dependable information that they can use and pass down for generations. WeighPay has spent the last 2 years researching the best of the best and we have finally secured a contract with the #1 provider of industrial waterproof and dust-proof IP66 rated equipment. WeighPay will no longer sell or recommend bloated under-performing consumer grade products. Our relentless commitment to only sell Best Made products required 5 years of testing and proving our equations. We started out attracting the smaller businesses with less than $1m in revenues, this meant small budgets and quality of hardware was the easiest way to reduce the invoice. This move required selling consumer grade brand name products like HP, ACER and many others that are filled with bloatware and often times perform at 50% of the specs listed. Consumer grade products fail to offer any industrial qualities and usually last 6 months to a year with moderate performance. As WeighPay grows into new industries we have found that providing a BEST MADE EXPERIENCE is a must and we are committed to raising the bar to a level where the recycling industry can finally claim "Best-Made" is a reality now. Lets start with the hub of any modern business, the PC. The WPCASH-22 PC is an example of how WeighPay has raised the bar to BEST MADE. For starters the PC a IP66 rated Waterproof PC, this PC is an intelligent solution for harsh working environments with exacting production goals where overall design and aesthetics also matter. The brilliant, thin, fanless, true flat screen design allows for a streamlined modern look. This will compliment a facilities updated design and is ideal for use with Manufacturing Execution Systems (MES) software and similar programs. The WPCASH-22 has a 5-wire resistive touch screen that can be used with any type of glove so workers can stay sanitized while the IP66 waterproof pc is washed down. The computer is designed to be placed in wet and dirty environments with varying humidity. Corrosion is blocked by the stainless steel and M12 metal connectors thereby protecting the industrial grade internal components. Using the latest i7 Core CPU with 16GB RAM, allows the WP CASH-22 to keep pace with multiple simultaneous programs so processing power is available when you need it. The high brightness sunlight readable option with optical bonding and 7H anti UV coating is available if outdoor placement is desired. Best Made = 365 24/7 in the toughest environments. For more information please call 888-440-8858 and ask for sales. COPS AT YOUR SCRAP YARD, DAILY? Are local police detectives up in your face all the time, wanting customer info, material images, vehicle plate images. Are theft related issues slowing down your business and scaring off your customers? Are you going to court to prove your yards compliance or protecting your business from thieves or annoying detectives? Are your employees steeling you blind? Do you need to take 1000's of compliance photo's per day? Need to on-board 100's of new customers each day? All of these are valid pain points for any scrap yards and or recycling center around the world. WeighPay Solutions has solved all of these problems and many more with ease and its affordable to use. Q. How to work "with" the local detectives, instead of against them. Search by customer first name or last name. Detectives can see real-time images of materials, customer face-shot and vehicle images without seeing any proprietary sensitve business data. No training required, they log into any browser from any device using the username and password you give them, they can start searching through transactions immediately, keeping them out of your yard and putting them at ease without ever calling you, visiting your yard or disturbing your business. Q. Having internal theft issues? WeighPay has the only software in the industry that offers automated compliance gathering. No need to remember to gather compliance images before attempting to print. We build the logic into the ticket payout process, this allows WPS to offer 100% compliance guarantee. You can use phones, tablets and or desktop PC's to gather compliance images, we tied all of your workstations together using the internet as your network. This proprietary to WeighPay, no need to sync or upload photos from mobile devices, simply gather the weights and the images are automatically taken. We added the ability to take a "secret photo" of the operator using the front facing cameras on all mobile devices, all-in-one PC's and or any web camera or IP camera, the user is unaware that we snapped a photo of them when they saved/printed the ticket. This helps the owners/managers see who was actually at the workstation creating and finishing the ticket. Since many if not most employees forget to log out when they walk away from the workstation, you might have a unauthorized customer or employee creating a secrete ticket at the scale or cashier station when the employee walks away, or even worse, looks the other way. We also built in a override password at each compliance step, guaranteeing the owner that if no password is entered then compliance images must be taken to pay out a ticket. Product, Materials, Species photos (buying or selling), customer/vendor face shot images, ID photos, document photos, fingerprint images, vehicle plate images and electronic signature images. Looking for a complianced based scale solution? look no further as WeighPay offers 4 solutions at different price points for any weight based industry.